How to increase business profits with bright ideas. Be creative and grow. To serve its customers better than anyone else. To make a profitIf your business fails in either function for any length of time, the business itself will fail. So you already provide great customer service and you’re still not making a profit. What can you do? Profit is simply the difference between income and expenses. You can either cut expenses or increase your income or you can do both at the same time. Your financial records can point out some ways to cut expenses but increasing profits may require some creative thinking. After all, we are creative entrepreneurs or we probably wouldn’t be in business. Put on your thinking cap, brainstorm with friends and associates, and make a list. Include everything you think of regardless of how silly it may sound. Write down the traditional ways but make sure that you also think outside the box. Every industry will be different but regardless of whether you’re a service or a product-oriented business, by being creative, you can increase your income. You’re a gift basket business: Think more than gift baskets. Individual products can sometimes sell better than the baskets. Add a new niche to market to, for example, apartment move-in gifts or locally-themed gifts. Is there a service you could provide- such as gift wrapping, personalized products, promotional items? You’re a bed and breakfast business: How about partnering with a local tour company, restaurant, or transportation service and receive a referral fee for sending referrals their way. Add a bicycle rental service for your guests. Provide a cake and decor for special occasions–for an extra charge, of course. You’re a website designer: Add hosting, templates and help for DIY folks who want to create their own website with some help. Offer classes either at your location or through the local community college. Offer a class for seniors at the local senior center. You’re a retail store owner: Add a workshop or one-time class on anything that relates to your business and would be interesting to your customers–and charge for it. If you have some extra space in your store, contact a local home based business owner whose products would complement your business and offer to rent them that space to display and sell their wares. You’re a Realtor: How about an ebook that you sell on your website about “The Ins and Outs of Buying or Selling a Home”. Advertise that you will help For Sale By Owner people ,who have found their own buyers, go through the process of dealing with the mortgage and title companies all the way to the close of escrow–for a fee, of course. Manage rentals for out-of-town owners who haven’t been able to sell their house in this down market. So be creative. Think outside the box. And that next bright idea might be just the one that you need to increase your income. 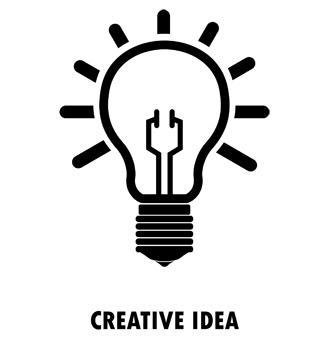 What other bright ideas can you think of for your business? Share your thoughts with our readers.